Get The Everly Brothers essential facts below. 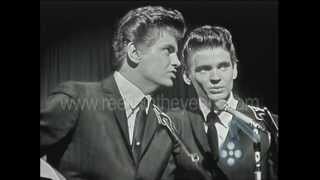 View Videos or join the The Everly Brothers discussion. 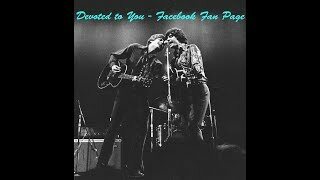 Add The Everly Brothers to your PopFlock.com topic list for future reference or share this resource on social media. 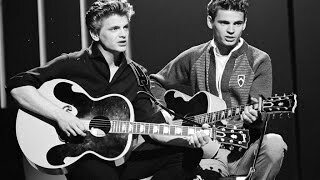 The Everly Brothers were an American country-influenced rock and roll duo, known for steel-string acoustic guitar playing and close harmony singing. Isaac Donald "Don" Everly (born February 1, 1937) and Phillip "Phil" Everly (January 19, 1939 - January 3, 2014) were inducted to the Rock and Roll Hall of Fame in 1986 and the Country Music Hall of Fame in 2001. Don was born in Brownie, Muhlenberg County, Kentucky, on February 1, 1937, and Phil in Chicago, Illinois on January 19, 1939. Their parents were Isaac Milford "Ike" Everly, Jr. (1908-1975), a guitar player, and Margaret Embry Everly. Actor James Best (born Jules Guy), also from Muhlenberg County, was the son of Ike's sister. Margaret was 15 when she married Ike, who was 26. Ike worked in coal mines from age 14, but his father encouraged him to pursue his love of music. Ike and Margaret began singing together. The Everly brothers spent most of their childhood in Shenandoah, Iowa. They attended Longfellow Elementary School in Waterloo, Iowa, for a year, but then moved to Shenandoah in 1944, where they remained through early high school. Ike Everly had a show on KMA and KFNF in Shenandoah in the mid-1940s, first with his wife and then with their sons. The brothers sang on the radio as "Little Donnie and Baby Boy Phil." The family sang as the Everly Family. Ike, with guitarists Merle Travis, Mose Rager, and Kennedy Jones, was honored in 1992 by the construction of the Four Legends Fountain in Drakesboro, Kentucky. The family moved to Knoxville, Tennessee, in 1953, where the brothers attended West High School. In 1955, the family moved to Madison, Tennessee, while the brothers moved to Nashville, Tennessee. Don had graduated from high school in 1955, and Phil attended Peabody Demonstration School in Nashville, from which he graduated in 1957. Both could now focus on recording. While in Knoxville, the brothers caught the attention of family friend Chet Atkins, manager of RCA Victor's studio in Nashville. The brothers became a duo and moved to Nashville. Despite affiliation with RCA, Atkins arranged for the Everly Brothers to record for Columbia Records in early 1956. Their "Keep a-Lovin' Me," which Don wrote and composed, flopped, and they were dropped from the Columbia label. Atkins introduced them to Wesley Rose, of Acuff-Rose music publishers. Rose told them he would get them a recording deal if they signed to Acuff-Rose as songwriters. They duly signed in late 1956, and in 1957 Rose introduced them to Archie Bleyer, who was looking for artists for his Cadence Records. The Everlys signed and made a recording in February 1957. "Bye Bye Love" had been rejected by 30 other acts. Their record reached No. 2 on the pop charts, behind Elvis Presley's "(Let Me Be Your) Teddy Bear," and No. 1 on the country and No. 5 on the R&B charts. The song, by Felice and Boudleaux Bryant, became the Everly Brothers's first million-seller. Working with the Bryants, they had hits in the United States and the United Kingdom, the biggest being "Wake Up Little Susie," "All I Have to Do Is Dream," "Bird Dog," and "Problems." The Everlys, though they were largely interpretive artists, also succeeded as songwriters, especially with Don's "(Till) I Kissed You," which hit No. 4 on the United States pop charts. The brothers toured with Buddy Holly in 1957 and 1958. According to Holly's biographer Philip Norman, they were responsible for persuading Holly and the Crickets to change their outfits from Levi's and T-shirts to the Everlys' Ivy League suits. Don said Holly wrote and composed "Wishing" for them. "We were all from the South," Phil observed of their commonalities. "We'd started in country music." Although some sources say Phil Everly was one of Holly's pallbearers in February 1959, Phil said in 1986 that he attended the funeral and sat with Holly's family, but was not a pallbearer. Don did not attend, saying, "I couldn't go to the funeral. I couldn't go anywhere. I just took to my bed." After three years on Cadence, the Everlys signed with Warner Bros. Records in 1960, with which they remained for 10 years. Their first hit for Warner Brothers, 1960's "Cathy's Clown," which Don and Phil wrote and composed themselves, sold eight million copies and became the duo's biggest-selling record. "Cathy's Clown" was number WB1, the first selection Warner Bros. Records ever released in the United Kingdom. We're not Grand Ole Opry ... we're obviously not Perry Como ... we're just pop music. But, you could call us an American skiffle group! Other successful Warner Brothers singles followed in the United States, such as "So Sad (To Watch Good Love Go Bad)" (1960, pop No. 7), "Walk Right Back" (1961, pop No. 7), "Crying in the Rain" (1962, pop No. 6), and "That's Old Fashioned" (1962, pop No. 9, their last top 10 hit). From 1960 to 1962, Cadence Records released Everly Brothers singles from the vaults, including "When Will I Be Loved" (pop No. 8), written and composed by Phil, and "Like Strangers." In the UK, they had top 10 hits until 1965, including "Lucille"/"So Sad" (1960, No. 4), "Walk Right Back"/"Ebony Eyes" (1961, No. 1), "Temptation" (1961, No. 1), "Cryin' in the Rain" (1962, No. 6) and "The Price of Love" (1965, No. 2). They had 18 singles into the UK top 40 with Warner Brothers in the 1960s. By 1962, the brothers had earned $35 million from record sales. In 1961, the brothers fell out with Wesley Rose during the recording of "Temptation." Rose was reportedly upset that the Everlys were recording a song which he had not published and, hence, for which he would not receive any publishing royalties, and he made strenuous efforts to block the single's release. The Everlys held firm to their position, and as a result, in the early 1960s, they were shut off from Acuff-Rose songwriters. These included Felice and Boudleaux Bryant, who had written and composed most of their hits, as well as Don and Phil Everly themselves, who were still contracted to Acuff-Rose as songwriters and had written several of their own hits. Nevertheless, from 1961 through early 1964, the Everlys recorded songs by other writers to avoid paying royalties to Acuff-Rose. They used the pseudonym "Jimmy Howard" as writer or arranger on two selections they wrote and recorded during this time -- this ruse, however, was ultimately unsuccessful, as Acuff-Rose gained legal possession of the copyrights once the name substitution was discovered. At this approximate time, the brothers also set up their own record label, Calliope Records, for solo projects. 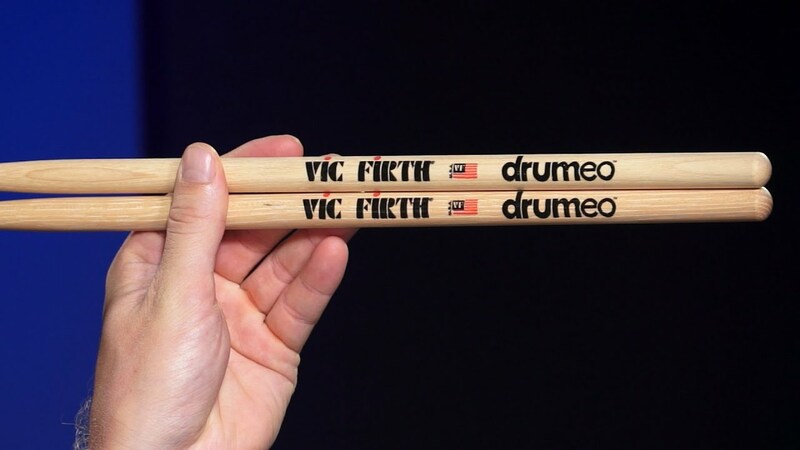 Using the pseudonym "Adrian Kimberly," Don recorded a big-band instrumental version of Edward Elgar's first "Pomp and Circumstance" March, which Neal Hefti arranged and which charted in the United States top 40 in mid-1961. Further instrumental singles credited to Kimberly followed, but none of those charted. Phil formed the Keestone Family Singers, which featured Glen Campbell and Carole King. Their lone single, "Melodrama," failed to chart, and by the end of 1962, Calliope Records had gone out of business. They never stopped working as a duo, but their last United States top 10 hit was 1962's "That's Old Fashioned (That's The Way Love Should Be)," a song recorded but unreleased by the Chordettes and given to the brothers by their old mentor, Archie Bleyer. Succeeding years saw the Everly Brothers sell fewer records in the United States. Their enlistments in the United States Marine Corps Reserve in October 1961 took them out of the spotlight. 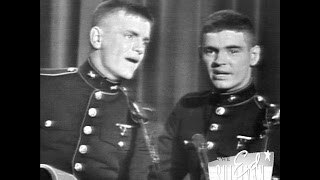 One of their few performances during their Marine service was on The Ed Sullivan Show, on February 18, 1962, when they performed "Jezebel" and "Crying in the Rain" while outfitted in their respective Marine Corps uniforms. Following their discharges from active duty, the Everlys resumed their career, but with little success in the United States. Of their 27 singles on Warner Brothers from 1963 through 1970, only three made the Hot 100, and none peaked higher than No. 31. Album sales were also down. The Everlys' first two albums for Warner (in 1960 and 1961) peaked at No. 9 U.S., but after that, of a dozen more LPs for Warner Brothers, only one made the top 200-1965's "Beat & Soul," which peaked at No. 141. The brothers' dispute with Acuff-Rose lasted till 1964, whereupon they resumed writing and composing as well as working with the Bryant spouses. By then, however, both of the brothers were addicted to amphetamines. Don's condition was worse; he was taking Ritalin, which led to deeper trouble. Don's addiction lasted three years, until he was hospitalized for a nervous breakdown and to treat his addiction. (The mainstream media of that time did not report that either brother was addicted. When Don collapsed in England in mid-October 1962, reporters were told he had food poisoning; when the tabloids suggested he had taken an overdose of pills, his wife and his brother insisted he was suffering physical and nervous exhaustion. It was years later that the story came out.) Don's poor health ended their British tour; he returned to the United States, leaving Phil to carry on, with Joey Page, their bass player, taking his place. Though their U.S. stardom had begun to wane two years before the British Invasion in 1964, their appeal was still strong in Canada, the United Kingdom and Australia. The Everlys remained successful in the UK and Canada for most of the 1960s, reaching the top 40 in the United Kingdom through 1968 and the top 10 in Canada as late as 1967. The 1966 album Two Yanks in England was recorded in England with the Hollies, who also wrote and composed many of the album's songs. The Everlys' final U.S. top 40 hit, "Bowling Green," was released in 1967. By the end of the 1960s, the brothers had returned to country rock, and their 1968 album, Roots, was hailed by some critics as "one of the finest early country-rock albums." However, by the end of the 1960s, the Everly Brothers had ceased to be hitmakers in either North America or the United Kingdom, and in 1970, following an unsuccessful live album (The Everly Brothers Show), their contract with Warner Brothers lapsed after ten years. In 1970, they were the summer replacement hosts for Johnny Cash's television show; their variety program, Johnny Cash Presents the Everly Brothers, was on ABC-TV and featured Linda Ronstadt and Stevie Wonder. In 1970, Don released his first solo album, which was not a success. The brothers resumed performing in 1971, and with RCA Victor Records they issued two albums in 1972 and 1973. Lindsey Buckingham joined them in 1972 and toured with them. They said their final performance would be on July 14, 1973, at Knott's Berry Farm, in California, but tensions between the two surfaced, and Don told a reporter he was tired of being an Everly Brother. During the show, Phil smashed his guitar and walked off while Don finished the show, ending their collaboration. 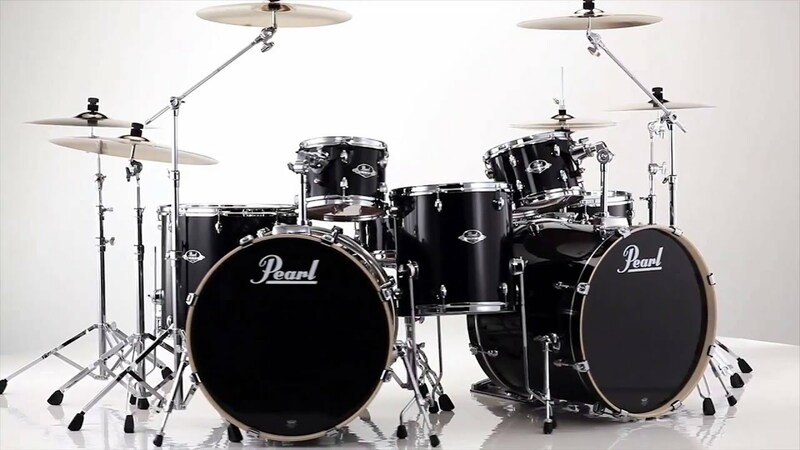 The two would not rejoin forces musically for just over ten more years. Phil and Don pursued solo careers from 1973 to 1983. Don found some success on the U.S. country charts in the middle to late 1970s, in Nashville with his band, Dead Cowboys, and playing with Albert Lee. Don also performed solo in London, in the middle of 1976, at an annual country music festival. His appearance was well received, and he was given "thunderous applause," even though critics noted that the performance was uneven. Phil sang backup for Roy Wood's 1975 album Mustard and two songs for Warren Zevon's 1976 self-titled album. In 1979, Don recorded "Everytime You Leave" with Emmylou Harris, on her album Blue Kentucky Girl. Phil recorded more frequently, but with no chart success till the 1980s. Phil wrote "Don't Say You Don't Love Me No More" for the 1978 Clint Eastwood comedy film Every Which Way But Loose, the first feature-film comedy in which Eastwood ever acted, in which he performed it as a duet with co-star Sondra Locke. He also wrote "One Too Many Women In Your Life" for the 1980 sequel, Any Which Way You Can, and played in the band which backed Locke. Then, in 1983, Phil had UK success as a soloist with the album Phil Everly, recorded mainly in London. Musicians on the LP included Dire Straits guitarist Mark Knopfler, Rockpile drummer Terry Williams, and keyboard player Pete Wingfield. The track "She Means Nothing to Me," written and composed by John David Williams and featuring Cliff Richard as co-lead vocalist, was a UK Top 10 hit, and "Louise," written and composed by Ian Gomm, reached the Top 50 in 1983. The brothers' reunion concert at the Royal Albert Hall in London on September 23, 1983, a musical re-junction of forces between them which ended both of their ten-year-long solo periods, was initiated by Phil and Don alongside Terry Slater. Wingfield was musical director. This concert was recorded for a live LP and video broadcast on cable television in mid-January 1984. The brothers returned to the studio as a duo for the first time in over a decade, recording the album EB '84, produced by Dave Edmunds. The lead single, "On the Wings of a Nightingale," written and composed by Paul McCartney, was a success (Top 10 adult contemporary) and returned them to the United States Hot 100 (for their last appearance) and the UK chart. Their final charting was "Born Yesterday" in 1986, from the album of the same name. They collaborated with other performers, mostly singing either backup vocals or duets. In 1990, Phil recorded a duet with Dutch singer Rene; Shuman. "On Top of the World" was written and composed by Phil and appeared in the music video they recorded in Los Angeles. The selection appeared on Shuman's album Set the Clock on Rock. In 1994, a 1981 live BBC recording of "All I Have to Do Is Dream" which featured Cliff Richard and Phil sharing vocals was a UK Top-20 hit. Phil provided backing vocals on "You Got Gold" from John Prine's 1991 album The Missing Years. 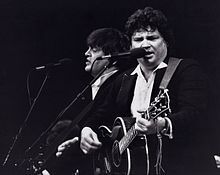 Both the Everlys and Prine had family connections to Muhlenberg County, Kentucky, and Prine was a frequent performer at the "Everly Brothers' Homecoming" concerts in Central City, Kentucky, over the years. In 1998, the brothers recorded "Cold" for Andrew Lloyd Webber's and Jim Steinman's musical Whistle Down the Wind, and the recording was used in stage versions as a "song on the radio." 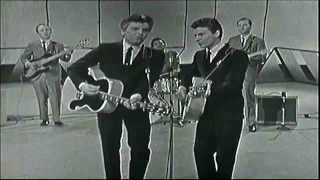 This would be the final original recording the Everly Brothers would ever make as a duo. In 1999, Don and Edan Everly performed "The Everly Brothers for Kentucky Flood Relief." The brothers joined Simon & Garfunkel in their "Old Friends" reunion tour of 2003 and 2004. As a tribute to the Everly Brothers, Simon & Garfunkel opened their own show and had the Everlys come out in the middle. The live album Old Friends: Live on Stage contains Simon & Garfunkel discussing the Everlys' influence on their career and features all four on "Bye Bye Love;" the subsequent DVD features two extra solo performances by the Everlys. For Paul Simon, it was not the first time he had performed with his heroes; in 1986, the Everlys had sung background vocals on the title track of Simon's album Graceland. The Concert In Central Park that Simon and Garfunkel had given, moreover, had featured them interpreting the Everlys' "Wake Up, Little Susie." A compilation album, titled Country Classics, was released in 2004, consisting of tracks recorded in 1972 and 1985. In 2006, Phil Everly sang "Sweet Little Corrina" with country singer Vince Gill on his album These Days. He had previously supplied harmony vocals on J. D. Souther's "White Rhythm and Blues" on his (Souther's) 1979 album You're Only Lonely. On January 3, 2014, Phil Everly died at Providence Saint Joseph Medical Center in Burbank, California, 16 days before his 75th birthday, of lung disease. Phil's widow Patti openly blamed her husband's death on his smoking habit, which caused him to develop chronic obstructive pulmonary disease, and recounted Phil spending his final years having to carry oxygen tanks with him wherever he went and taking 20 different types of medications per day. She stated that although Phil had stopped smoking in 2001, his lungs had already sustained permanent damage. Phil's last public appearance was in 2011, at Buddy Holly's induction to Hollywood Boulevard's Star Walk of Fame, and he was then struggling to catch his breath as he addressed the crowd. Patti established the Phil Everly Memorial COPD Foundation in 2014. Don Everly claimed in a 2014 interview with the Los Angeles Times that he had given up smoking in the late 1960s and that Phil had stopped too but started again during their breakup and had continued until 2001. Don said that weak lungs ran in the family, as their father, Ike, had died of black lung disease. He admitted that he had lived "a very difficult life" with his brother and that he and Phil had become estranged once again in later years, something which was mainly attributed to "their vastly different views on politics and life," with the music being the one thing they shared closely, saying, "it's almost like we could read each other's minds when we sang." However, Don also stated he had not gotten over Phil's death, saying, "I always thought about him every day, even when we were not speaking to each other. It still just shocks me that he's gone." Don added that he always firmly believed he would die before his brother, because he was older than Phil. In a 2016 interview Don said he was still coping with the loss of Phil and that he had kept some of his brother's ashes in his home. He added that he would pick up the ashes every morning and say "good morning," while admitting that it was a peculiar ritual. On October 25, 2014, Don Everly attended the 2014 Annual Music Masters as the Rock and Roll Hall of Fame paid homage to the Everly Brothers. Don took the State Theater stage and performed his and his brother's classic hit "Bye Bye Love." In January 2016, Don Everly publicly endorsed Hillary Clinton for the 2016 presidential election, citing her foreign policy experience from her tenure as Secretary of State as well as her support of education. It marked the first time Don Everly had ever publicly supported a political candidate, with Don stating that following his brother Phil's death he now felt free to express his political views more openly, while noting that the diametrically opposite difference the brothers shared in their political views had also made it impossible for the Everly Brothers ever to lend any active support to political candidates. 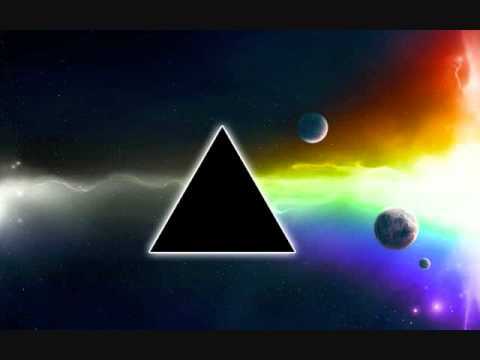 Don and Phil, both guitarists, used vocal harmony mostly based on diatonic thirds. On most recordings, Don sang the baritone part and Phil the tenor harmony. One notable exception is "Since You Broke My Heart" (1958). Although Don was mainly low, and Phil was mainly high, their voices overlap in a very intricate and almost subtle fashion. Another notable example is "I'll See Your Light" (1977). It is one of the few songs in which Phil consistently has the low harmony while Don is consistently high. Don usually sang most of the solo lines (for example, the verses of "Bye Bye Love"); among the few exceptions is the 1965 single "It's All Over," on which Phil sang the song's solo lines. 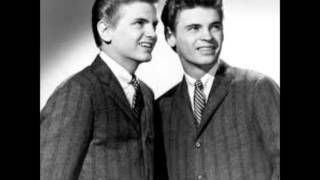 In the late 1950s, the Everly Brothers were the rock and roll youth movement's addition to close harmony vocal groups, many of which were family bands. They influenced rock groups of the 1960s. The Beatles,The Beach Boys, and Simon & Garfunkel developed their early styles by performing Everly songs. 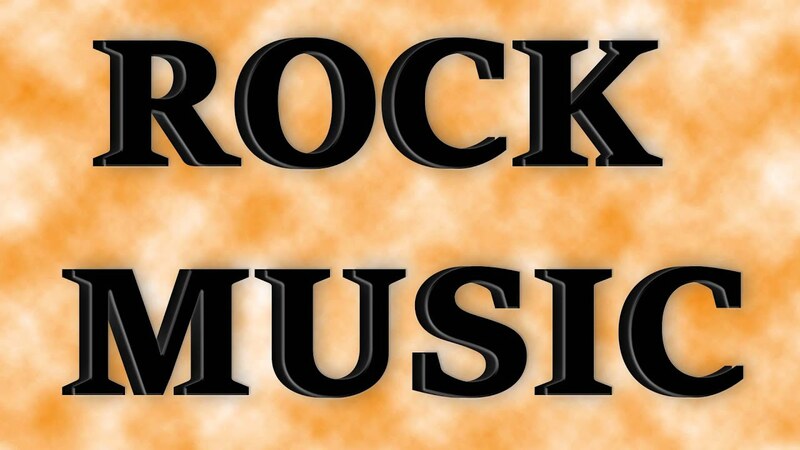 The Bee Gees, The Hollies, and other rock and roll groups that feature harmony singing were also influenced. The music of the Everly Brothers influenced the Beatles, who referred to themselves as "the English Everly Brothers" when Paul McCartney and John Lennon went hitchhiking south to win a talent competition. They based the vocal arrangement of "Please Please Me" on "Cathy's Clown." Keith Richards called Don Everly "one of the finest rhythm players." Paul Simon, who worked with the pair on "Graceland," said on the day after Phil's death, "Phil and Don were the most beautiful sounding duo I ever heard. Both voices pristine and soulful. The Everlys were there at the crossroads of country and R&B. 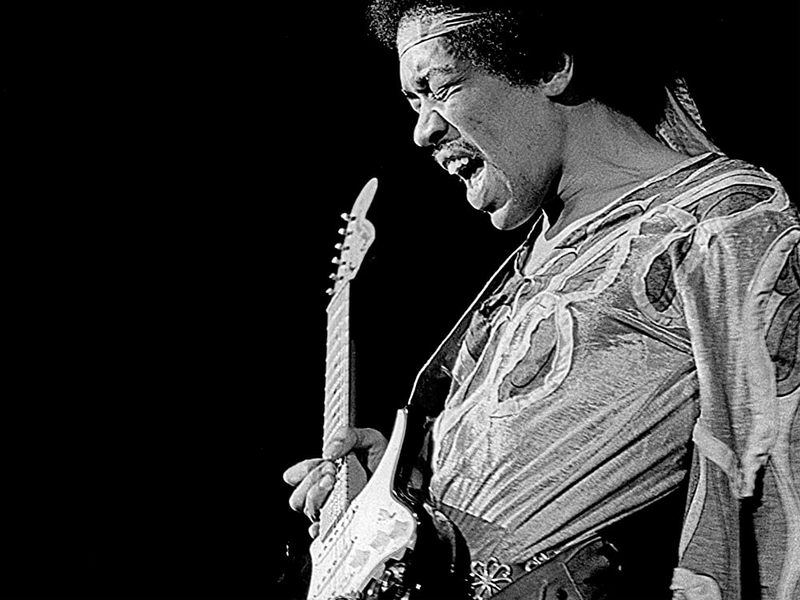 They witnessed and were part of the birth of rock and roll." The Everly Brothers had 35 Billboard Top-100 singles, 26 in the top 40. They hold the record for the most Top-100 singles by any duo and trail Hall & Oates for the most Top 40 singles by a duo. In the UK, they had 30 chart singles, 29 in the top 40, 13 top 10, and 4 at No. 1 between 1957 and 1984. They had 12 top-40 albums between 1960 and 2009. 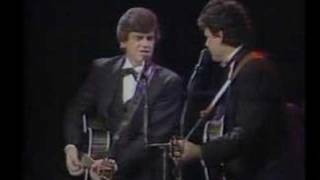 In 1986, the Everly Brothers were among the first 10 artists inducted into the Rock and Roll Hall of Fame. They were introduced by Neil Young, who observed that every musical group he had ever belonged to had tried, and failed, to copy the Everly Brothers' harmonies. That year, on July 5, the Everlys returned to Shenandoah to a crowd of 8,500 for a concert, parade, street dedication, class reunion, and other activities. Concert fees were donated to the Everly Family Scholarship Fund, which gives scholarships to middle school and high school students in Shenandoah. The brothers were inducted into the Iowa Rock 'n' Roll Hall of Fame in 2003. In 1997, the brothers were awarded the Grammy Lifetime Achievement Award. They were inducted into the Country Music Hall of Fame in 2001 and the Vocal Group Hall of Fame in 2004. Their contribution has been recognized by the Rockabilly Hall of Fame. On October 2, 1986, The Everly Brothers received a star on the Hollywood Walk of Fame for their work in the music industry, located at 7000 Hollywood Blvd. 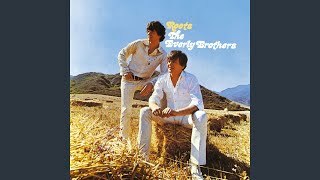 In 2004, Rolling Stone magazine ranked the Everly Brothers No. 33 on its list of the "100 greatest artists of all time". They are also No. 43 on the list of UK Best selling singles artists of all time. The Everlys, as noted above, wrote and composed "Till I Kissed You" (Don), "Cathy's Clown" (Don and Phil), and "When Will I Be Loved" (Phil). "Cathy's Clown" and "When Will I Be Loved" became hits for Reba McEntire and Linda Ronstadt, respectively. "Cathy's Clown" was also covered by the Tarney/Spencer Band. It was released as a single in 1979. Band member Alan Tarney (a former member of the Shadows) went on to be a producer for "hit machines" like Cliff Richard and a-ha, the Norwegian band who, in turn, covered "Crying in the Rain" in 1990 for its fourth album, East of the Sun, West of the Moon. On Labor Day weekend 1988, Central City, Kentucky, began the Everly Brothers Homecoming event to raise money for a scholarship fund for Muhlenberg County students. Don and Phil toured the United Kingdom in 2005, and Phil appeared in 2007 on recordings with Vince Gill and Bill Medley. Also in 2007, Alison Krauss and former Led Zeppelin frontman Robert Plant released Raising Sand, which included a cover of the 1964 hit "Gone, Gone, Gone," produced by T-Bone Burnett. Four Everly Brothers tribute records were released in 2013: Billie Joe Armstrong's and Norah Jones's Foreverly, the Chapin Sisters's A Date with the Everly Brothers,Bonnie Prince Billy's and Dawn McCarthy's What the Brothers Sang, and the Wieners's Bird Dogs. The album Marvin, Welch & Farrar (1971), by the British-Australian band of the same name, contains a track named after Don's place of birth, "Brownie Kentucky"..
Jeff Lynne recorded a version of "So Sad" for his 2012 album release Long Wave. ^ a b Unterberger, Richie. "Biography of the Everly Brothers". AllMusic Guide. Retrieved 2009. ^ "Ancestry of the Everly Brothers". Wargs.com. Retrieved 2014. ^ Jerry Bledsoe. "Ike and Margaret Everly Don't Like Doing Nothing." Greensboro (NC) Daily News, November 29, 1971, p. B1. ^ Henderson, O. Kay (January 5, 2014). "Shenandoah's Phil Everly, of Everly Brothers fame, dead at 74". Radio Iowa. Retrieved 2014. 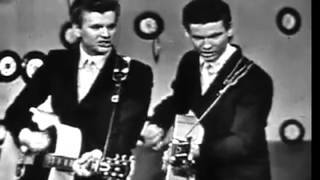 ^ "Everly Brothers Back Home Before 2,100." Waterloo (IA) Daily Courier, February 9, 1958, p. 14. ^ a b Pareles, Jon (January 4, 2014). "Phil Everly, Half of a Pioneer Rock Duo That Inspired Generations, Dies at 74". New York Times. Retrieved 2014. ^ "Rock-a-Billy Everly Boys." Blytheville (AR) Courier-News, July 31, 1957, p. 8. ^ a b Loder, Kurt (May 8, 1986). 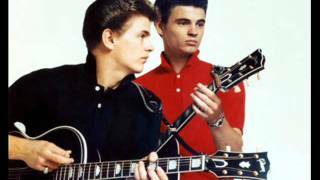 "The Rolling Stone Interview: The Everly Brothers". Rolling Stone. Retrieved 2014. ^ John Larson. "The Everly Brothers Now Want to Act". Boston Globe, December 25, 1960, p. 14. 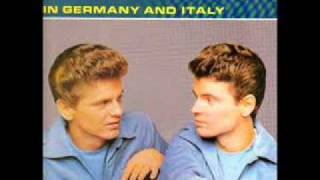 ^ "Everly Brothers Surprised." Richmond (VA) Times-Dispatch, July 5, 1970, p. H8. ^ a b c d Lazell, Barry ed., with Dafydd Rees and Luke Crampton, Rock Movers & Shakers. Billboard Publications, New York, 1989, p. 171. ^ Alan Frazer, "The Everly Saga, $$." Boston Sunday Advertiser, July 23, 1961, p. 22. ^ Gilliland, John (1969). "Show 9 - Tennessee Firebird: American country music before and after Elvis. [Part 1]" (audio). Pop Chronicles. University of North Texas Libraries. ^ Whitburn, Joel, The Billboard Book of Top 40 Hits, Billboard Books, NY 1992, p. 165. ^ a b Norman, Philip (1996). Buddy Holly: The Definitive Biography of Buddy Holly. London: Macmillan. ISBN 0-306-80715-7. ^ Tobler, John (1992). NME Rock 'N' Roll Years (1st ed.). London: Reed International Books Ltd. p. 88. CN 5585. ^ Natalie Best. "Rock 'n' Roll Marine Weds With Brother As Best Man." San Diego Union, February 14, 1962, p. B1. ^ "Don Everly Ill, Taken to Hospital," San Diego Union, October 15, 1962, p. 8. ^ "Singer Don Everly Flies to N.Y. Hospital." Boston Traveler, October 16, 1962, p. 54. ^ "Roots The Everly Brothers". Allmusic.com. ^ "Everly Brothers Return." Cleveland Plain Dealer, July 5, 1970, p. 29E. ^ Marilyn and Hy Gardner, "Everly Brothers Too Close for Too Long." Springfield (MA) Union, August 24, 1973, p. 27. ^ "The Everly Brothers Biography". Rolling Stone. 2001. Retrieved 2014. ^ Ed Blanche, "Everly Laid Back." Springfield (MA) Union, June 21, 1977, p. 26. 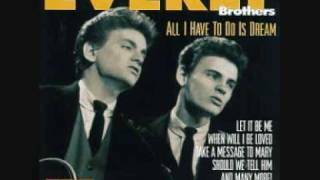 ^ "Everly Brothers @ Art Culture". Artandculture.com. Retrieved 2013. ^ "Cable Concert Appearance Reunites the Everly Brothers." Newark (NJ) Star-Ledger, January 6, 1984, p. 38. 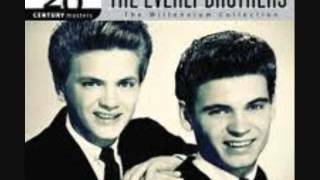 ^ "EB 84 - The Everly Brothers | Awards". AllMusic. Retrieved 2014. ^ "All I Have to Do Is Dream (single)" (Media notes). Cliff Richard with Phil Everly. United Kingdom: EMI. 1994. ^ Thom Jurek (October 17, 2006). "These Days - Vince Gill | Songs, Reviews, Credits, Awards". AllMusic. Retrieved 2013. ^ Botelho, Greg; Todd Leopold (January 4, 2014). "Singer Phil Everly -- half of legendary Everly Brothers -- dies". CNN. Retrieved 2014. ^ BBC (January 4, 2014). "US Musician Phil Everly dies aged 74". BBC. Retrieved 2014. ^ a b Saul, Heather (January 4, 2014). 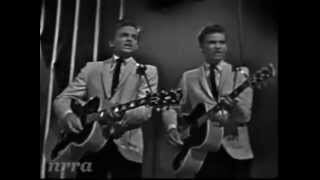 "Phil Everly dead: World mourns younger of US rock and roll duo The Everly Brothers". The Independent. Retrieved 2014. ^ Lewis, Randy (January 4, 2014). "Half of rock vocal duo the Everly Brothers". Los Angeles Times. Retrieved 2014. ^ a b "Phil Everly's widow Patti reveals his last days before he died from lung disease". Mail Online. October 28, 2014. ^ "Don Everly on death of brother Phil: 'I think about him every day'". latimes. ^ Mike Peterson (January 29, 2016). "Don Everly remembers early years". KMAland.com. ^ Don Everly sings Bye Bye Love 10 /25 /2014 Rock and Roll Hall of Fame. YouTube. October 27, 2014. ^ Mike Peterson (January 28, 2016). "Don Everly backs Hillary Clinton". KMAland.com. ^ "Phil Everly of the Everly Brothers, Dead at 74". San Antonio Current. Archived from the original on January 11, 2014. Retrieved 2014. 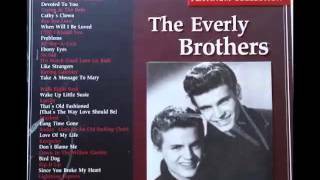 ^ "An appreciation of Phil Everly and the Everly Brothers". World Socialist Web Site. Retrieved 2014. ^ MacDonald, Ian (1997). Revolution in the Head: The Beatles' Records and the Sixties. Random House. ISBN 0-7126-6697-4. p.293. ^ Granata, Charles L. (2003). I Just Wasn't Made for These Times: Brian Wilson and the Making of Pet Sounds. MQ Publications. ISBN 1-903318-57-2. pp. 35-36. ^ Simon, Paul (April 20, 2011). "100 Greatest Artists: 33. The Everly Brothers". Rolling Stone. Retrieved 2014. ^ Leach, Sam (1965). "Birth of the Beatles". 16 Scoop: Beatles, Complete Story from Birth to now published by 16 Magazine: 11. ^ MacDonald, Ian (1997). Revolution in the Head: The Beatles' Records and the Sixties. Random House. ISBN 0-7126-6697-4. p. 55. ^ Richards/James Fox, (2010). Life. Little, Brown and Company. ISBN 978-0-316-03438-8. p. 242. ^ "The Everly Brothers - Inductees - The Vocal Group Hall of Fame Foundation". Vocal group. Archived from the original on December 24, 2013. Retrieved 2013. ^ "The Everly Brothers | Hollywood Walk of Fame". www.walkoffame.com. Retrieved 2016. ^ "The Everly Brothers - Hollywood Star Walk - Los Angeles Times". projects.latimes.com. Retrieved 2016. ^ "The Immortals: The First Fifty". Rolling Stone. Retrieved 2013. ^ MacDonald, Ian (1997). Revolution in the Head: The Beatles' Records and the Sixties. Random House. ISBN 0-7126-6697-4. p.101. ^ "foreverly". Billie Joe and Norah. Retrieved 2013. ^ "Singing Sisters Reconsider the Everly Brothers". NPR. Retrieved 2014. ^ Reed, James (January 11, 2014). "The music of the Everly Brothers endures and thrives". The Boston Globe. Retrieved 2014. ^ "Bird Dogs". Retrieved 2013. 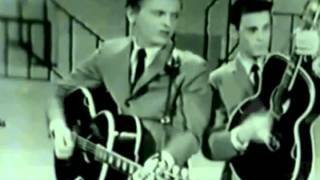 The Everly Brothers "Til I Kissed You"
Everly Brothers "When Will I Be Loved"